Like the original Datsun 240Z, the Nissan 350Z is fast, it's fun, it's affordable, and it's pure sports car. 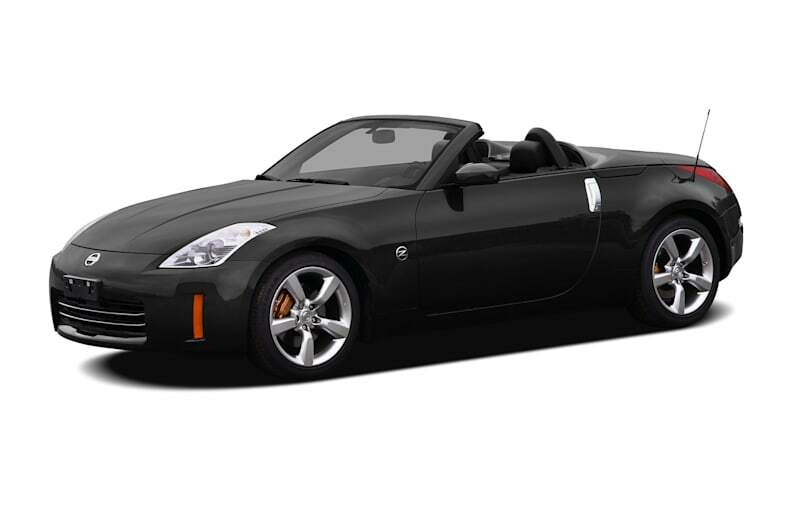 The Nissan 350Z has eight variants available: five coupes and three roadsters. All come standard with the new 306-horsepower 3.5-liter V-6, and a six-speed manual transmission. A five-speed automatic is available on all models except for two trims on the coupe. Safety features on all models includes dual-stage front airbags, with seat-mounted side airbags on all of the roadsters and the Nismo trim on the coupe. A tire pressure monitoring system, antilock brakes with Electronic Brake-force distribution and brake assist are standard on all models. Traction control is standard on all models except the base trim coupe. For 2008, the Nissan 350Z receives a new color option and satellite radio is standard on the Touring and Grand Touring trims on the coupe.